This week, according to an executive at NBC, we learn that Papa John’s isn’t alone and that other NFL advertisers have threatened to withdraw their business over the anthem protests as well. Linda Yaccarino, chairman of advertising sales and client partnerships at NBC Universal, spoke recently at an industry chat hosted by AdAge. During the discussion, she said that while no sponsors have actually followed through and pulled their advertising from the NFL, yet, several have threatened to do so. While the points made by Moonves and Yaccarino seem to contradict each other, at least a bit. Both points are believable and completely unsurprising. The downturn in NFL ratings and popularity, primarily beginning in 2015, is still relatively new. Most of these advertisers signed their deals with the NFL when the ratings collapse either had not yet materialized, or, was considered a blip on the radar that would soon pass. So naturally, these companies which signed long-term deals at the confiscatory rates the NFL could afford to charge due to their monstrous popularity, at the time, will start to get nervous when the see the ratings dive continue. Which, is why it’s not surprising that there has been some, primarily behind the scenes, rumbling about pulling advertising. After all, these sponsors want the NFL to get back to making them the kind of money they were making three years ago. However, it also makes perfect sense that these advertisers haven’t pulled out yet. While the ratings are nosediving and the league has done tremendous damage to itself; the fact remains, that whether it’s Sunday Night Football, Thursday Night Football, Monday Night Football, NFL football is still almost always the most watched thing on television. 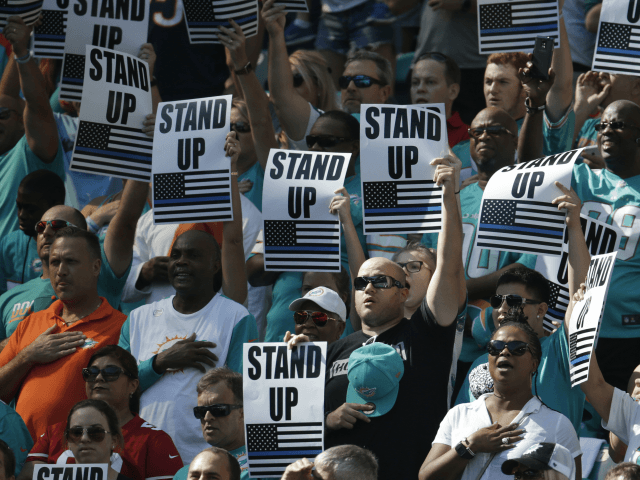 So while the NFL is losing popularity, it’s popularity is not quite lost, yet. Keeping the league a worthwhile investment for advertisers. However, with the league not earning what it was when most of those contracts were signed, these sponsors are letting the league know, behind the scenes, not to expect to get the sweetheart deals they got in the past.